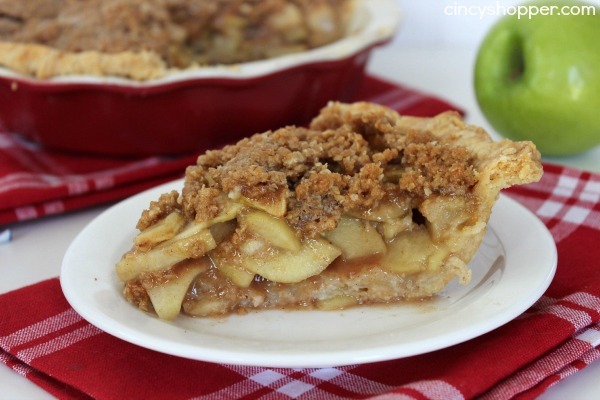 If you are looking to make a Apple Pie look no further as this Dutch Apple Pie Recipe will be perfect. Last week my daughter and I enjoyed a nice dinner together. She was looking to enjoy a piece of pie for her dessert. She is a HUGE pie fan. All year long she is always wanting me to make up pies. After ordering up a slice of apple pie she was quite disappointed in the flavors and crust. So I decided to make a few pies this week for her to enjoy homemade fall pies at home. Everyone was super excited to smell this Dutch Apple Pie baking up! Every single kiddo was being super impatient. Waiting is just not their thing, ha ha. 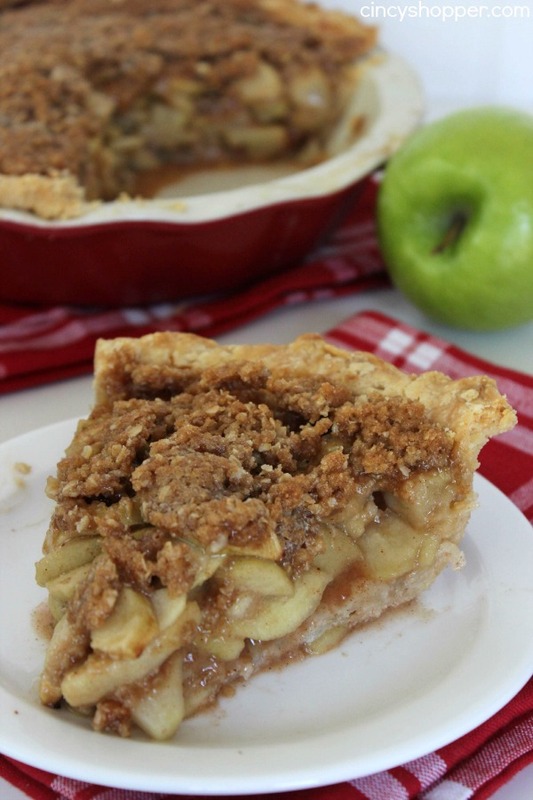 Plus they love everything apple this past few weeks so I knew this pie would be perfect. 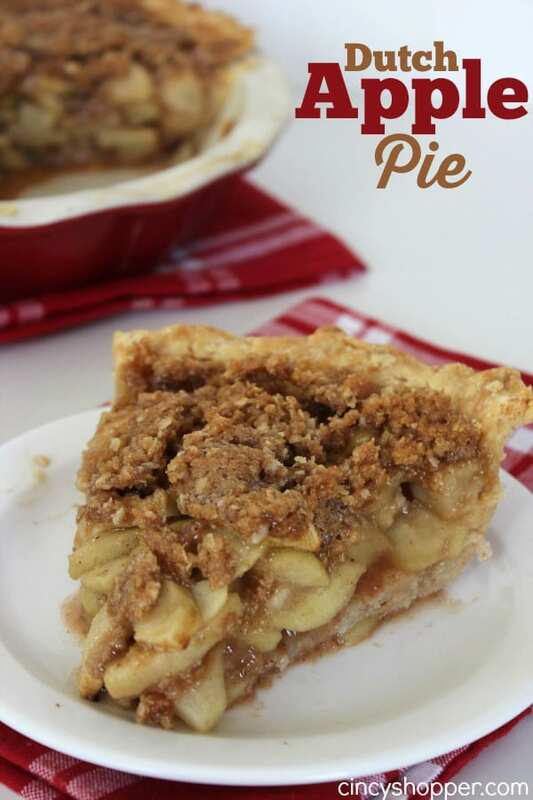 We always make up many great pies for our holiday dinners and this Apple Pie Recipe is going to be great for Thanksgiving and Christmas this year. The kiddos were extremely happy to dig into this pie after I snapped pictures. They were honestly all hovering over as I was snapping. This pie was finished off in just a few minutes time. I topped mine with a big scoop of ice cream because I am a big al a mode fan. The crust was perfect with the flakiness I was hopng to achieve. 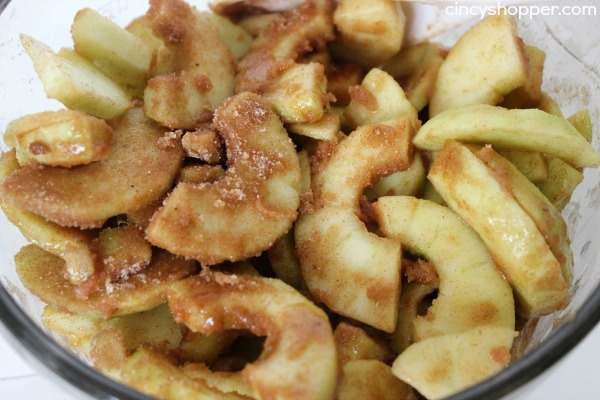 The apples were full of great cinnamon flavor and the topping was PERFECT! Work shortening into flour with a pastry cutter until texture resembles meal. Add cold water and vinegar and stir until just incorporated. Place in a zippered bag. Flatten to about 1/2″ with a rolling pin. 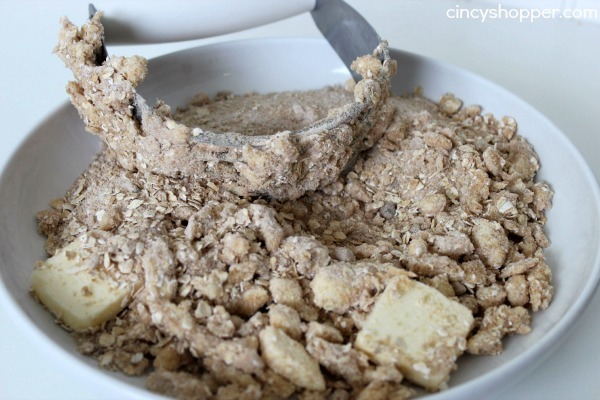 Combine dry struesel ingredients in a large bowl and whisk together. 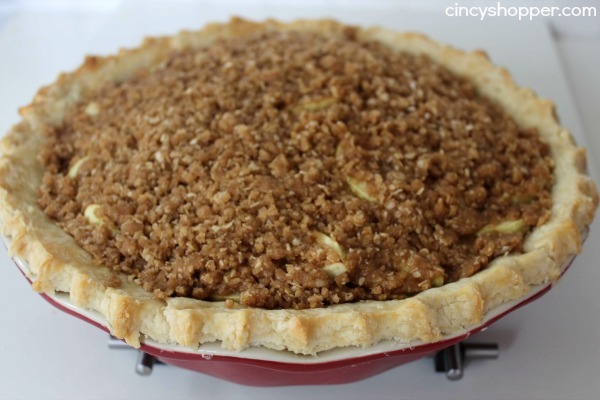 Roll out pie crust on a floured surface and place in pie pan. Line a baking sheet with aluminum foil to catch any spillover during baking and place in bottom third of oven. In a large bowl, combine sugar, brown sugar, flour and spices and mix well. 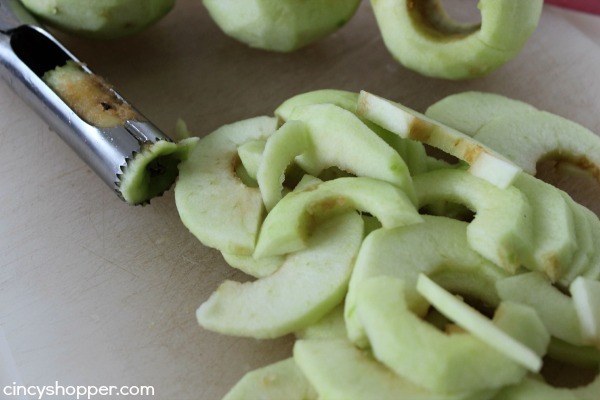 Core, peel and slice apples into 1/4″ or less slices. Add apples and vinegar to bowl and toss to coat. 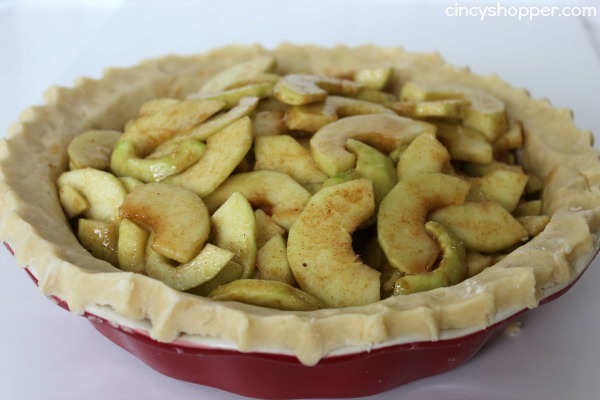 Put apples in crust and dot top with pieces of butter. Remove from oven and top pie with struesel mixture. Reduce temperature to 375 return pie to oven to cook for about 50 minutes more (when crust is golden and filling is bubbling). If struesel begins to get too brown, cover top loosely with aluminum foil. Flatten to about 1/2" with a rolling pin. Core, peel and slice apples into 1/4" or less slices. This pie looks so delicious and will have to try this recipe. 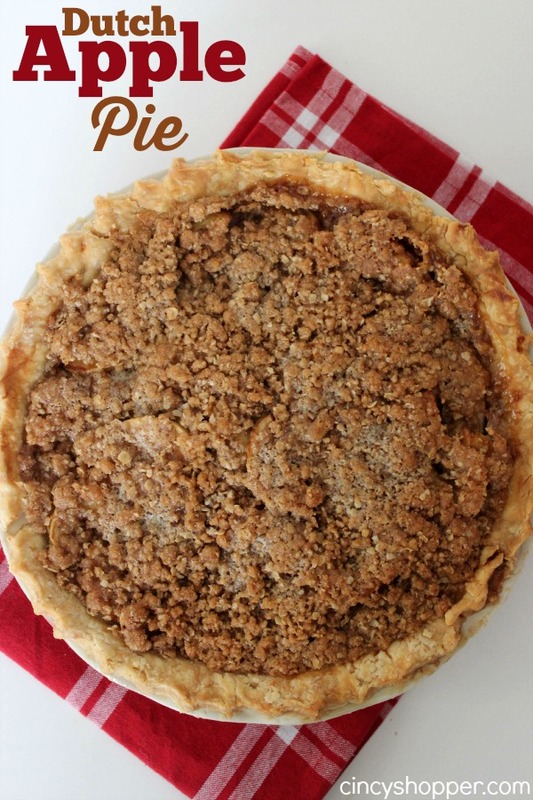 Plan on making this pie for Thanksgiving. Made this pie for Thanksgiving top but used pie crust I previously made out of freezer….will try pie crust recipe next time! I had a terrible time with the other recipe I tried….sure hope everything turns out! Thinking of making this recipe for Thanksgiving, can I sub butter for the shortening? We don’t keep shortening so I see it pointless to buy it. Just keep in mind that stores sell rather large Granny Smith apples, so 3-4 is plenty. This looks delicious! Thanks for sharing your recipe at Craft Frenzy Friday on Mom Home Guide! Your pie recipe looks delicious! I will have to try it! Thanks for sharing it at Motivation Monday on Mom Home Guide! Looks delicious! 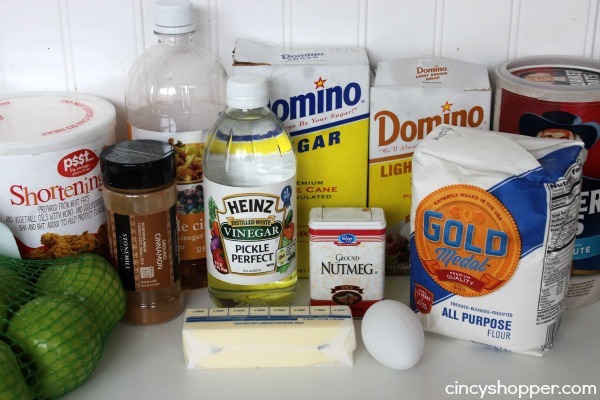 Thanks for linking up with the Delicious Dished Recipe party this week! Currently making this baby, its in the oven right now. Definitely looks and smells great. I used my own pie crust i previously made. I have a deep dish pie pan so i used 8 med sized apples to fill my pie. Thank you again for the recipe.